Director Baz Luhrmann already tipped his hand in the trailer for his upcoming adaptation of "The Great Gatbsy." Among the songs heard was the Jay-Z-led track "No Church in the Wild," his 2011 collaboration with Kanye West. The use married an examination of the empty, ostentatious wealth of the '20s with an examination of the empty, ostentatious wealth of today. This week, it came to light that "The Great Gatsby" could feature original Jay-Z works. The news was spread by the Bullitts, the musical designation for producer/musician Jeymes Samuel. In a tweet posted Monday, he wrote, "Z and myself have been working tirelessly on the score for the upcoming #CLASSIC The Great Gatsby! It is too DOPE for words!." Unknown, however, is to what extend Jay-Z's music will figure into "The Great Gatsby." Warner Bros. Pictures has already announced that regular Luhrmann contributor Craig Armstrong is composing music for the film. Pop & Hiss reached out to the studio for further details, but as of yet the studio and Jay-Z have yet to provide more information. Jay-Z is already linked to another film, the Willow Smith-starring remake of "Annie." 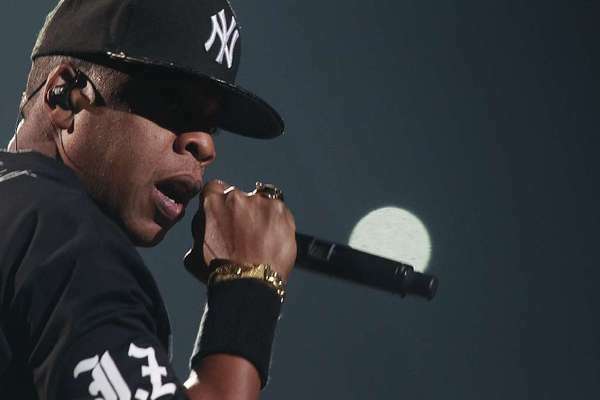 The latter has been reported to start shooting in 2013, and Jay-Z is said to be overseeing the music. Willow, of course, is signed to Jay-Z's Roc Nation. Samuel, whose brother is the better-known Seal, has been hyping his debut, "They Die By Dawn and Other Short Stories," for a while now. The album was originally due in the fall of 2012, and features a narration by actress Lucy Liu. Rappers Mos Def and Jay Electronica are among the listed contributors. "The Great Gatbsy," the adaptation of the F. Scott Fitzgeraldnovel starring Leonardo DiCaprio as Jay Gatsby, is slated for release May 10. The book and film follow Gatsby's rise into New York wealth and presents a warped, corrupt view of the American dream. Considering that much of Jay-Z's recent works have been obsessed with nothing but the spoils of fame, cash and New York, the rapper would be the clear, if obvious, choice to contemporize the story. Below, watch one of the film's trailers featuring "No Church in the Wild," as well as Jack White's cover of U2's "Love is Blindness."